A very warm welcome to final and last installment of my series 'Stress and Hypnosis'. In the previous installments I have discussed the dangers of stress, especially 'chronic stress' and why it is commonly referred to as the 'silent killer'; the mind body connection, i.e. how thoughts, feelings and emotions automatically signal neurological reactions in the body; and lastly have discussed ways to take control over that process permanently, through the use of techniques such as 'self-hypnosis' and 'mindfulness'. In this final part I will pull it all together and show you how you can take steps to heal and restore your mental and physical health and walk into the future empowered. Mind body medicine is an evidence based way of reducing stress. 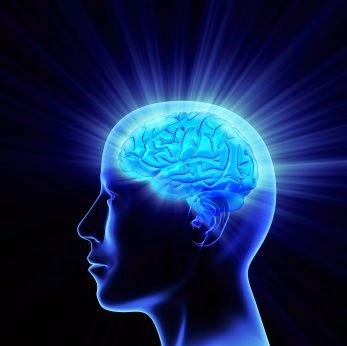 In other words your mind can influence and even heal your body, and using hypnosis can help with that process. Friedemann Schaub, M.D. Ph.D., wrote: "Our body is able to identify and eliminate effectively toxins, germs and even cancer cells on a daily basis. Our bodies can reconstitute damaged cells or repair impaired functions in powerful and creative ways, with no or minimal side effects. The discovery of neruotransmitters provide some insights into how the mind-body connection works. Neurotransmitters, small proteins, are released in response to thoughts, beliefs and feelings and directly impact and control the function of our cells. This mind-body healing can only function properly when all parts are in alignment with each other ('Homeostatic Balance'). However negative emotions, inner conflicts and and limiting beliefs are common factors, which prevent us from utilizing this enormous potential to heal and restore". A large number of studies have demonstrated that our negative thoughts and emotions and the resulting stress, play a significant role in the development of heart diseases, chronic pain, autoimmune diseases and even cancer. On the other hand self empowered positive thinking, a self empowered attitude and optimistic beliefs stimulate and enhance the healing process. Hypnosis is a powerful way to remove these blocks and fast track accelerated and profound change, healing and self empowerment. Because hypnosis works with the subconscious mind, we can identify and address the deeper root causes of our problems and effect profound change on the mental, emotional and physical level. However even though everything I say in the above paragraph is true, there is another vital step - learning skills like self hypnosis and mindfulness is so important to ensure change is permanent. If you can look at these techniques like the practice a music student does everyday to perfect their skill. When I hypnotize my clients I am teaching them a skill of an instrument within them. My clients learn the technique but must go home and practice every day. If the music student does not practice, they will return knowing little of what they learned in their first lesson. They know that in order to become good musicians, they must practice to build up that subconscious 'muscle memory'. This is the reason self hypnosis works. There is a great phrase that sums it up: "Give a person a fish and they eat for a day; but teach them to fish and they eat for life". I hope you have enjoyed this five part series as much as I have enjoyed writing it. I will leave you with a nice exercise to practice in your spare time - just make sure to do it at a time when no one or nothing will distract you. Begin by taking a few deep breaths, closing your eyes and allowing your body relax and to fall into place. Meditate for a moment. Now visualize/think about a loved one. Picture in your minds eye this loved one, life sized, brightly lit, in full colour, etc., and notice how good that feels - it is automatically relaxing. Enjoy those few moments. Next bring your focus on your resting hands and say to yourself 'My hands are warm' (repeat x 5), while focusing on your hands and notice how without you even having to try your hands become warm. (This process is commonly referred to as 'Autogenic training', and I plan to go into it in more detail in a future blog). Enjoy this feeling for a few moments and then open your eyes. Kind of cool huh? This is just a small example of how we can use or minds and thoughts to create 'positive feelings' within ourselves. Isn't it empowering to know that in fact it's just as easy to be calm and peaceful as it is to be anxious and stressed? You have the POWER to heal and restore - use it.